As you can see, this is the last resistance before the early April highs. If we convincingly break the 1563/64ish area, new highs are likely. 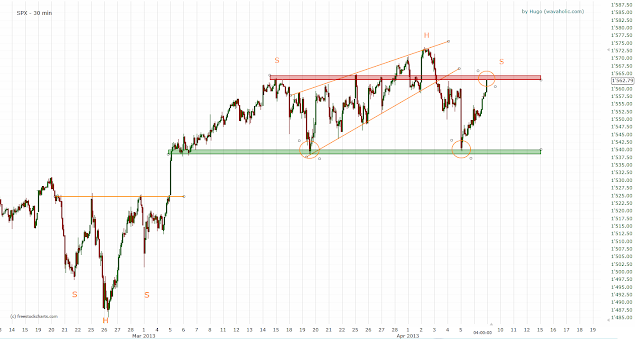 If it holds though, the SPX could form a H&S. We'll see what happens tomorrow.